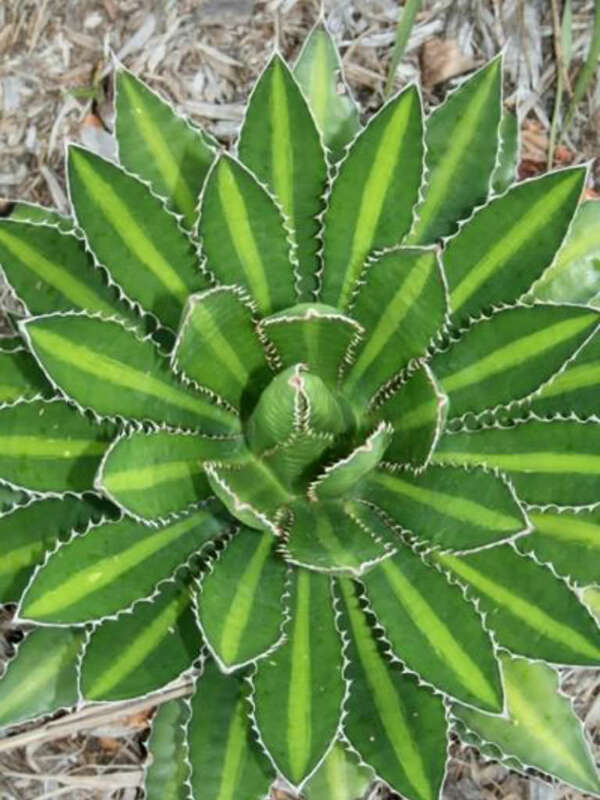 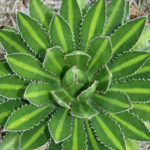 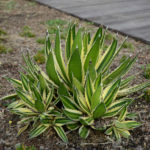 Agave univittata ‘Splendida’ is a clustering, succulent plant with rosettes that are up to 1 foot (30 cm) tall and up to 18 inches (45 cm) wide. 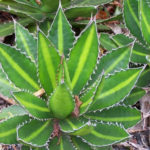 The leaves are up to 7 inches (17.5 cm) long and up to 2 inches (5 cm) wide, dark green with a striking greenish-yellow central band visible on both the upper and lower leaf surfaces, and with prominent, white teeth along the margins. 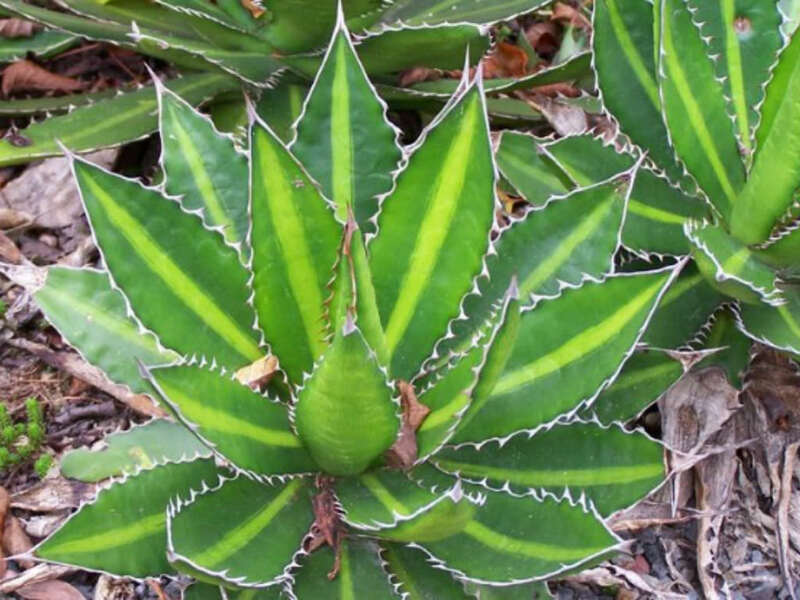 When mature this plant can produce a up to 12 foot (3.6 m) tall flower stalk bearing flowers with long stamens typical of the species. 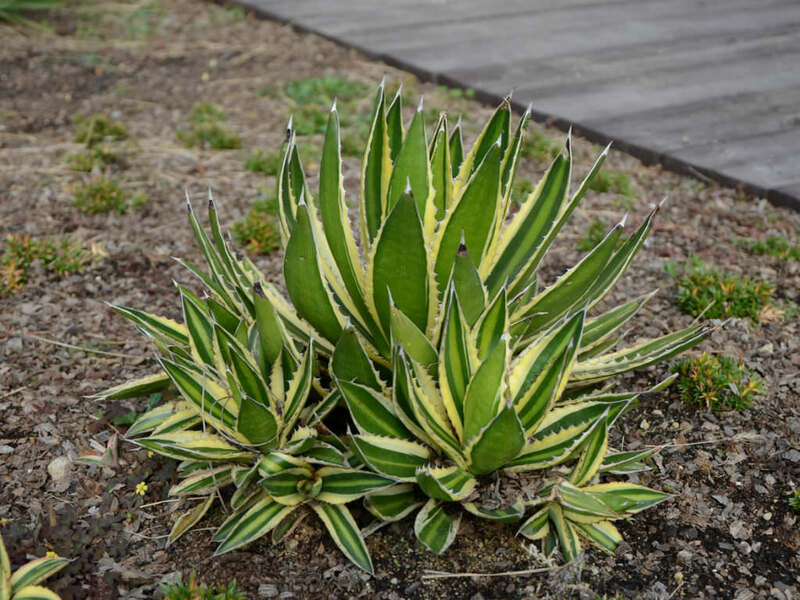 USDA hardiness zones 9a to 10b: from 20 °F (−6.7 °C) to 40 °F (+4.4 °C). 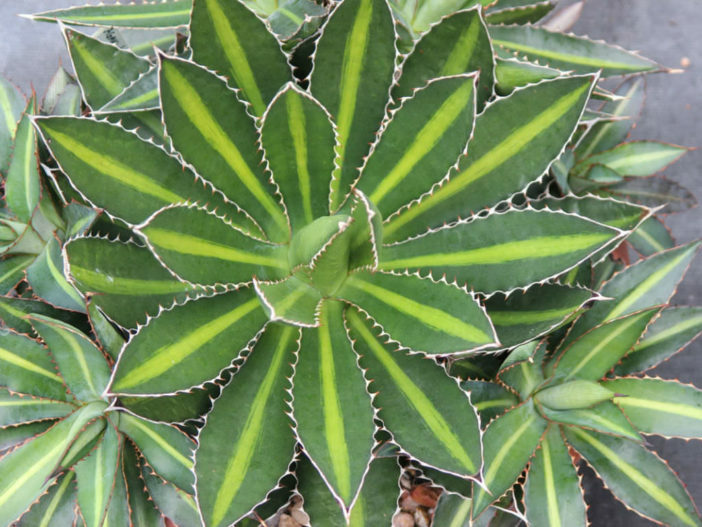 Agave univittata ‘Splendida’ originated at Nurseries Caroliniana in North Augusta, South Carolina.